A year ago, I’d been road cycling for a few months and looking towards a move into competition. 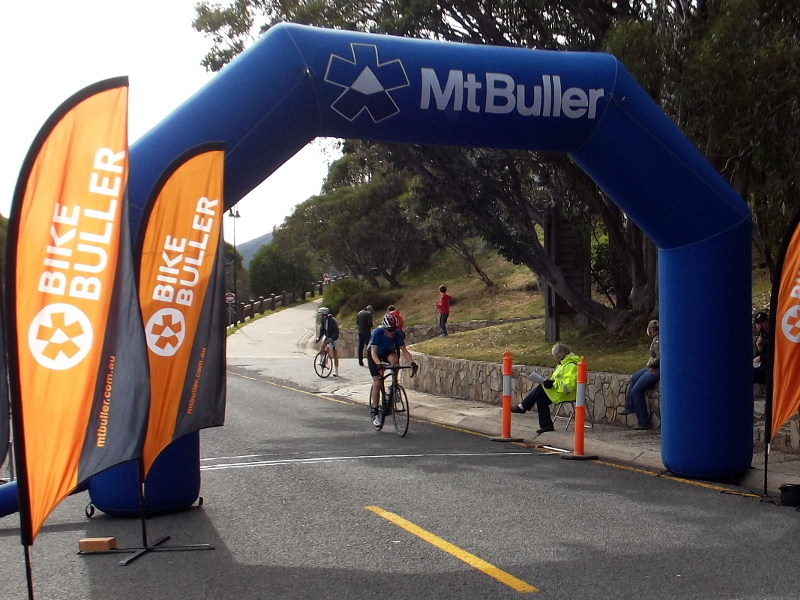 With some friends, I took part in a sportive event which climbed Mt Buller from Mansfield. I didn’t even know that the next day a road race was held covering the same ground. When I made the connection, a few days later, I was surprised to see my time for the course from Mansfield to Mt Buller was only seven minutes off the winning time for the C Grade Masters race. 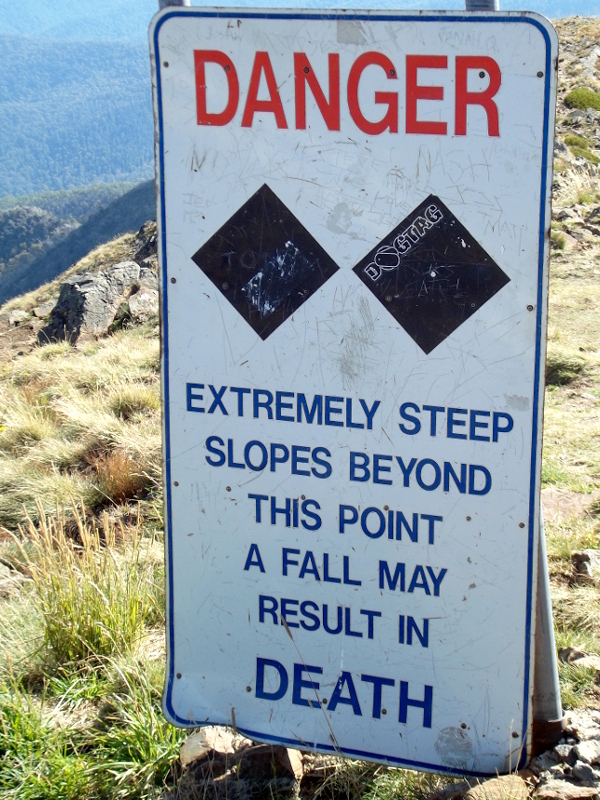 I decided then that I would target the 2014 Mt Buller Road Race. Breaking my arm in a descending crash before Christmas wasn’t ideal preparation for this year’s event. But as a friend pointed out, it’s really the last six weeks before an event that counts. With this in mind I set about doing as much mountain climbing as I could through February and March. We’re lucky to have Mt Donna Buang on our doorstep here in Melbourne. This climb makes for a pretty good simulation of Mt Buller, being around 1 kilometre longer and a fractionally tougher climb. Riding Donna in February, I knocked a good dent in my old PR, and approached the times of B grade climbers. Then, on my first ascent of Mt Buller since the 2013 sportive, I took ten minutes off my old time, just a minute outside the winning climb time of the 2013 C Grade Masters race. I was convinced I could win the race. Now I have to share a story here which has nothing to do with the race. All of us who cycle around Melbourne’s outskirts are used to wildlife encounters. 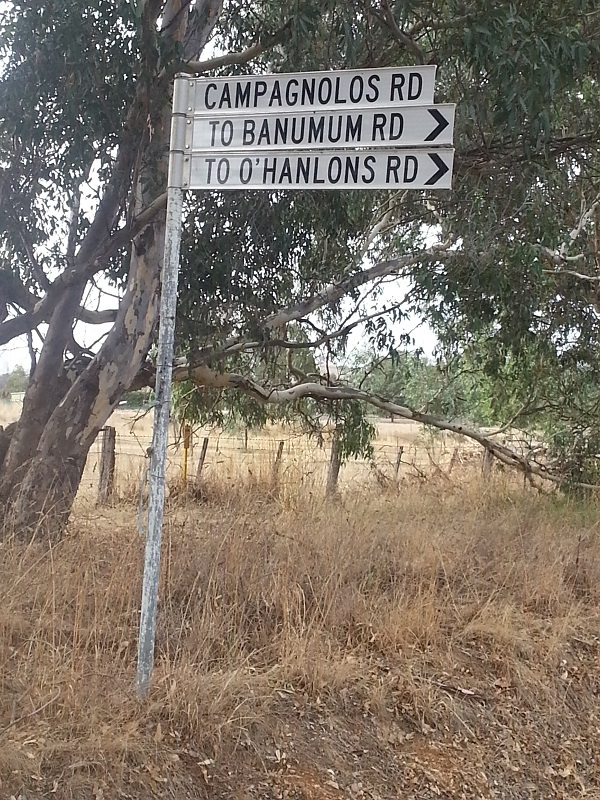 I’ve had a number whilst descending Eltham-Yarra Glen Rd to Watson’s Creek, including dodging an echidna who was blindly plodding out into the path of the logging trucks (fingers crossed for that little guy). 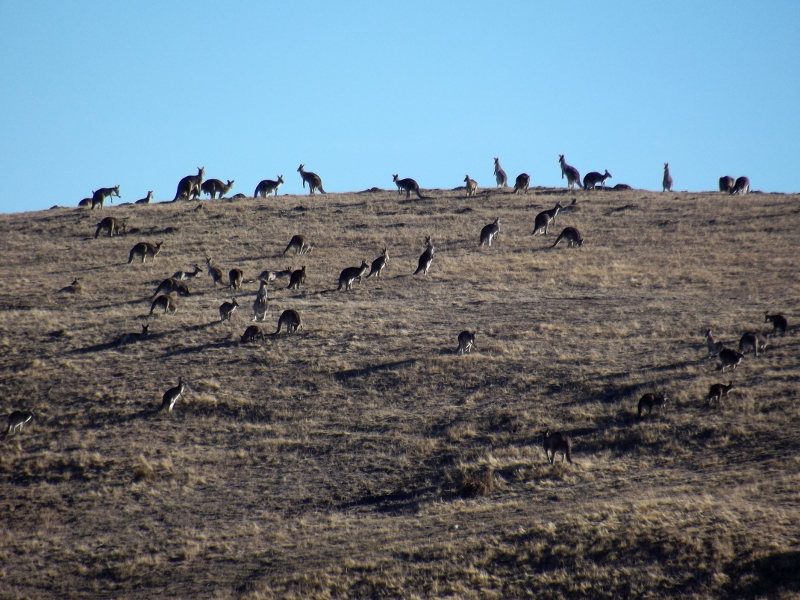 But as Katrina and I drove off to Mansfield for the Mt Buller race on Friday night, we suddenly found ourselves coming upon an unexpected animal on this same stretch of road, near the corner of Dawson Rd. It took a moment to compute what I was looking at, but sure enough, a turtle was trying to cross the road. I realised instantly I had to aim straight at it to ensure it would pass safely under the car, away from our tyres. After considering our options for about ten seconds I swung the car around and we proceeded back to rescue it. It had managed to get to the middle of the road, but was now drawn into it’s shell. From our angle, coming up the hill, we could still see it’s little face darting from side to side in fright as cars raced past it. Katrina jumped out and picked it up, and we drove down to Watsons Creek at the bottom of the hill to release it. The poor little thing looked terrified as we placed it on the edge of the creek. At the same moment, an owl perched beside us and watched the whole scene intently, before moving in even closer. I placed some makeshift camouflage of sticks and twigs over the turtle, still cowering in its shell, before we left, and hoped we hadn’t just served dinner to the bird. I’m a notoriously bad sleeper the day before an event. We tried to work around this by having two nights in Mansfield before the race on Sunday. The plan seemed to work. I barely slept on the Friday night, but after a day of easy riding and a climb to the summit of Mt Buller, I slept soundly on Saturday night. Then turn left at SRAM street! 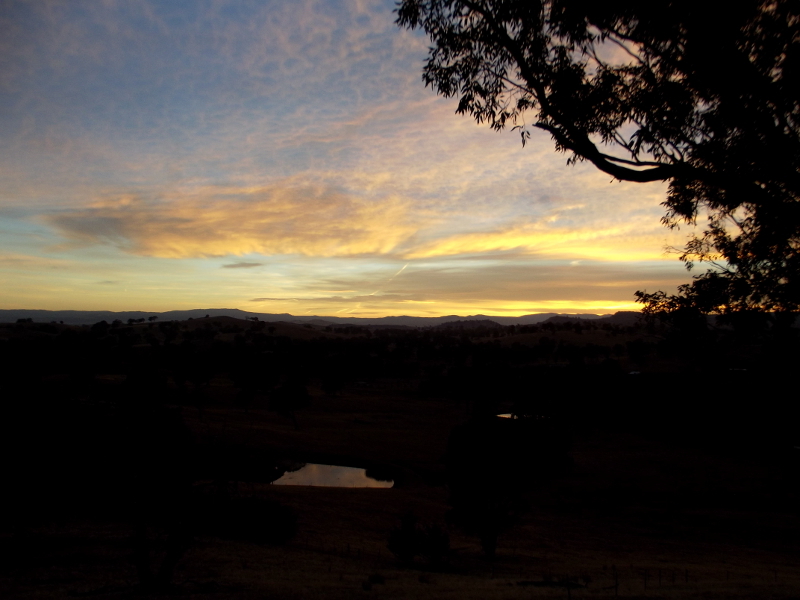 Mansfield at Dawn. March 23 2014. The morning was cold and still as the riders prepared to race from Mansfield’s High Street. There was little other sign of life in town aside from that associated with the race; for this moment at least the cyclists had really taken over. A Grade Elite headed out first at 8am, followed by the other elite, masters and women riders. I had 50 minutes until C Grade Masters headed out, so I began to ride laps of Mansfield back streets, trying to warm up. The sun looked like it might begin to assert itself but at this point there was enough broken cloud to diminish its force, and make warming up a challenge. Doing my warm-up laps I almost missed the start, and I was the last rider to assemble in place, with 63 other riders. We moved out gently, with the peloton neutralised before the Jamieson turn off. I’d given my wind jacket to the lead car driver, but there was too much nervous energy at play now to feel cold anyway. The sun was breaking out properly too as we reached the turn off and the pack began to surge. 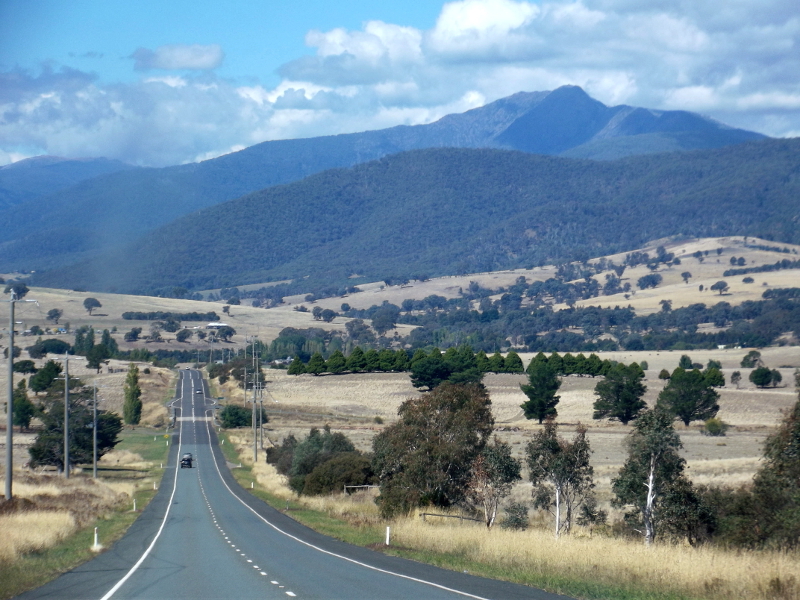 The road out to Mt Buller, Photo taken the day before the race. Nearing the base of the mountain, the energy in the group changed as riders began to fight for position before the climb. I noticed a few guys I’d ridden with before – Locky from Hawthorn CC who’d raced in the Northern Combine and Coburg Crits with me, and Marco who’d ridden up Myers Creek Rd with me and Mat’s gang a couple of weeks earlier. In no time we were past the gates and on to the mountain. Here I realised my first mistake. I’d actually gotten myself in a poor position within the group and would have to fight my way past a crowd of slower climbers. To my right I noticed the eventual winner Matthew Irons rapidly moving up places and I called out to Locky not to lose sight of him. 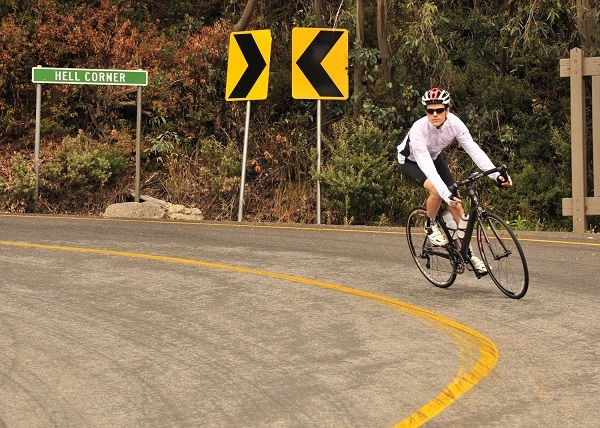 I knew the Melbourne Uni rider had a 49min climb on Strava and was a strong favourite to win. By the first sweeping turn up towards Chain Bay 1, we had already formed something of a selection of climbers, with perhaps two thirds of the pack quickly disappearing behind us. I pushed on steadily, passing a number of riders as the initial selection began to fall apart. Round a few more corners and I realised I’d lost sight of at least three riders ahead, including Marco. I wasn’t quite ready to accept it, there was still two thirds of the climb to go, but I suppose at this point I knew I wasn’t riding for the win. Nearing half way up the mountain, and reeling in riders in ones and twos, I passed a rider I recognised, Rod from Coburg CC. Rod had finished sixth in last years race, and I figured I was at least in top ten contention now. The next rider I came across wasn’t going to let me shake him off. We played cat and mouse up the climb – I was prepared to sit on his wheel, but every time I did I felt like I could have been going much harder so I would try to pull away again. And then I saw Marco in the distance and I was clearly closing in on him. He looked back and saw me coming. I didn’t know it, but at this point, about two thirds up the climb, I was holding fourth position. If I’d known Marco was riding to the podium I might have gunned it a little harder, and bridged across to him, but here I made another mistake. When we’d climbed Myers Creek Road together a couple of weeks earlier, I’d pulled ahead, but Marco had overhauled me half way up. I held a determined rhythm, and a steady power output, a little below threshold, and eventually I hauled him back in. I reached the top of Myers Creek Road a hundred metres ahead of him. Here, I just figured I’d do the same thing again, but this was wrong for a whole host of reasons, not least cause Marco was riding harder than me. Over the last few kilometers he pulled away from me with a particularly impressive ascent of the last two steep ramps. For a couple of kilometres I pushed on with only Marco ahead of me, but then quite unexpectedly, a line of eight riders pushed past me. All these guys I’d passed up the climb. Now, somehow, they pressed past me with what looked like some kind of organisation! Here I made perhaps my worst mistake. Rather than jumping straight on the back, I gambled that this was an unsustainable surge on their part and that I would get them – and Marco – just by holding a steady effort. At first this looked like it would work and after about a kilometre or so I started hauling them back. One of their number dropped off and as I pushed past him I still expected to get the rest too. Rod was next, but as we approached the appropriately named Hell Corner, with less than a kilometre left of much steeper and slower climbing, I realised I’d blown it. I’d run out of time and distance to claw back steadily. I went into damage control and just made sure to stay clear of the last rider I’d overtaken. I crossed the finish line feeling frustrated, and kind of like I wanted to go again right there and then to show what I could do! I was hoping against hope that I’d somehow scraped into the top ten, but in a final disappointment I came eleventh! So … not bad, maybe, out of 64 starters. Not bad, maybe, with a final time of 1:49:55, when last year’s winner had finished with a time of 1:53:35. But I’d expected a lot more from myself. I’d equalled my best power output up the mountain, but I was 15 seconds behind my best time for the climb, and a full eighteen seconds off my best for the final steep section. That eighteen seconds alone would have put me up a position. More damning was looking at my post-ride data and seeing a max heart rate of only 177 bpm. I’d opted for an easy route to the podium when no such route existed. It was a lazy ride, given what I know I’m capable of. 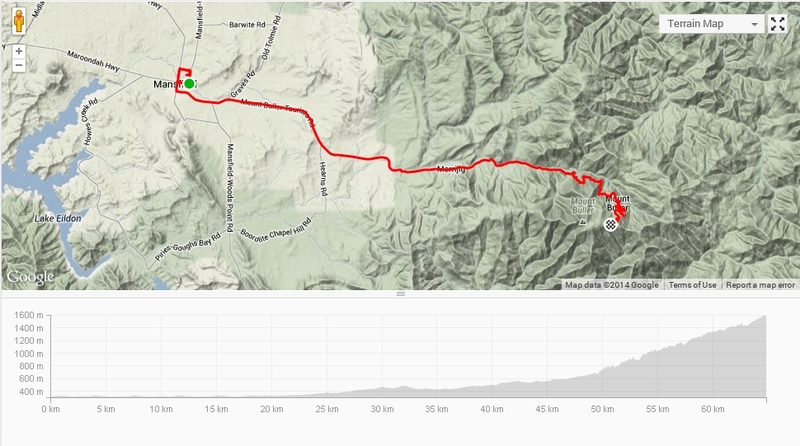 2014 Mt Buller Road Race course and elevation profile (including warmup laps). I’ve done a bit of soul searching about this. At some level I think I lack the killer instinct that a lot of sports people have, which might have seen me get to the podium. Before cycling I’d never been a sports guy (childhood conformity aside), and I think my geeky temperament and persona is sometimes an impediment to success in this sport. There were points in the race where I caught myself wandering off in thought, then I’d look at my power numbers and see I’d been riding too far within myself. On the other hand, I am naturally competitive. A friend asked me afterwards if I’d enjoyed the race and I was surprised, because enjoyment wasn’t something I’d even thought about. If I’d won I would have enjoyed that. But on balance I’d actually have to say I didn’t enjoy it, but I would do it all again in a flash. In fact, I wish desperately that we could replay it. But we’ll have to wait another year for that! Hi Rod, good climbing. I notice the overall times were much faster this year. Last year’s winning time of 1:53:35 would have earned 32nd place this year. As someone who did both, how would you say this year compared? Was it mainly faster on the climb, or on the way out, or across the whole race? Hi Alain, yeah I’ve been noticing the same across the board. Pretty sure conditions were much the same last year too. I reckon this year’s climb was definitely faster though, the way out was also faster this year but that part of the ride isn’t very hard. 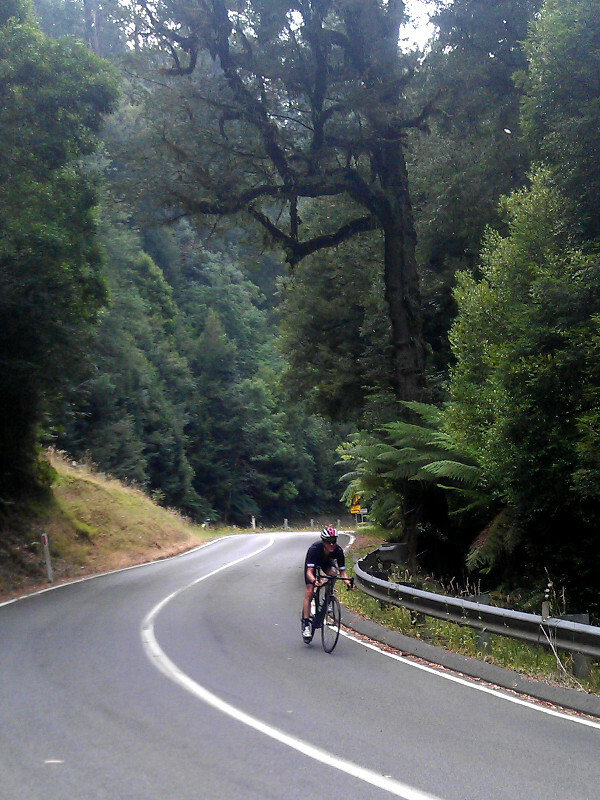 The first few km’s of Buller yesterday was well over my threshold, it was actually as fast as the A grade race. Each year the standard goes up across the board, whether it be local crits or open road races….means we have to train harder! Hopefully I’ll draw some lessons from all of this for the rest of the year’s racing. 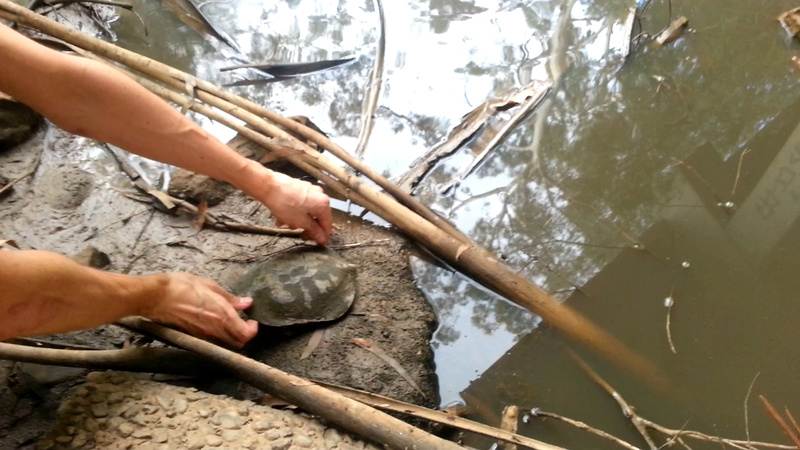 On the way home we stopped at Watson’s Creek and climbed down under the bridge to check on our turtle. I had worried that maybe the turtle had been run over and had internal injuries we couldn’t notice, accounting for his/her lack of movement. I didn’t really believe the owl would have flown away with it, so, as long as it was gone I figured the rescue could be counted as a success. The turtle was nowhere to be seen, and that, at least, gave me a real sense of satisfaction! Thanks to Katrina for being especially awesome and helping me through the weekend: driving, feeding, riding, walking, encouraging, consoling, rescuing etc. Addendum: I went for a fun ride on Tuesday, and hit a higher heart rate than during the race. That’s really pretty bad. I need to learn to leave it all on the road in a race. And … I also almost hit … another turtle! This time crossing Kangaroo Ground – St Andrews Rd near Alma Rd. So please look out. These cute little guys are on the move and have no road sense. Great report Alain, and lovely photos / panoramas in there too. Jeremy. Alain, the only way to get better is to practice. Racing is a different skill to climbing – I, like you, would not call myself a ‘sportsman’ but I force myself to race because it’s hard. I look forward to doing battle with you over the northern combine season and the coming races – perhaps Baw Baw is calling you? :) I’m looking forward to turning up to the next race with no injuries or niggles and having a real crack. Buller wasn’t long enough to tire everyone out!